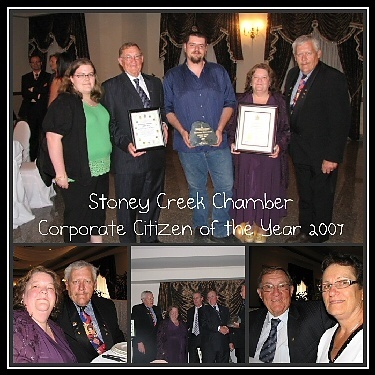 We are family owned and Independently operated since 1978. Mountaineer Movers prides ourselves on our customer service. We let clients know what they need for their upcoming move. In 1978 Harry Mans decided to buy a moving company and he never looked back. 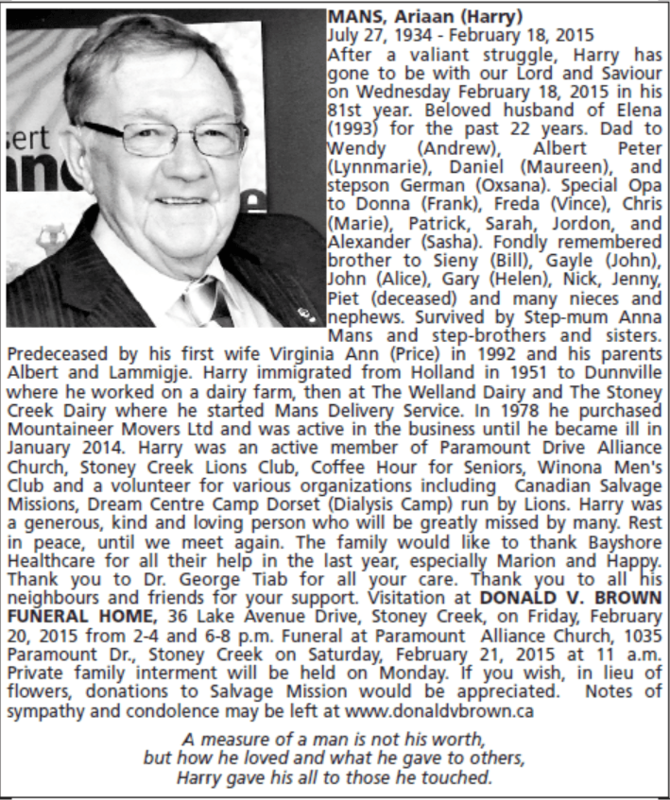 Harry, a Dutch immigrant came to Canada in 1951. He saw an ad in the newspaper for a moving company, thought it was a great idea to have the family working together and, with help from his dad Albert, founded Mountaineer Movers, which today has 6 local trucks and 2 long haul trucks. Mountaineer Movers have been working with north American Van Lines since May 2006- and left them in October 2012. 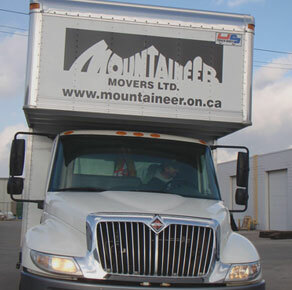 We at Mountaineer Movers are now running independently but have been helping customers move across Canada since 1990. We have private storage available at reasonable rates, from 1 day to long term with camera surveillance with only Mountaineer Movers staff having access to storage lockers. Mountaineer Movers in 2006 opened a box – supply and moving equipment store. We have 1 stop shopping for all your packing needs, whether it is paper, tape, boxes of various sizes, wardrobes, and picture mirror boxes. We will also rent you a fridge cart, moving pads, piano cart for the do it yourself mover. Mountaineer Movers is a Canadian family-owned and operated business. Harry’s daughter, Wendy, is now President and runs the company along with her husband Andrew who has been with them since June 1981, their daughter Sarah is now a part of the family business. We are working hard to keep things going for our future generation of our family. Wendy and Andrew have worked together along with Harry for over 34 years. “We also send a huge thank you to all of our present and former employees who have helped our firm to be who we are.” We appreciate you and the good work you do, keep it up. As a family owned and operated business we are committed to customer satisfaction as our primary goal and will continue to keep it in our focus. 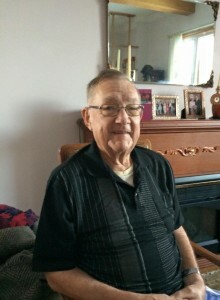 Today I lost the best person on this planet and in my life – my Opa, Harry Mans, he was the best Opa that a girl could have. He had the biggest heart and would give you the shirt off his back to help anyone. He was a gentleman and was kind to everyone he met, he never had a bad word about anyone. I loved him with all my heart. I was a lucky girl to be able to see him every single day of my life for 26 years and worked with you. Opa I will miss you with everything in me, I am glad you are out of the pain you have been in. You will be missed and you knew you were and are extremely loved by everyone you met. You had the best smile a person could ever have and I miss it everyday. I love you and will meet with you again one day.